My son, Zachary joined in 1998 and achieved Black Belt in 2001. Zachary competed Provincially and Nationally and has won silver medals at WKA Championships in Ireland in 2003 and silver in team kata in 2006. I originally started Chinese Kenpo Karate in Newfoundland in 1981 under Sensei Dave Jackman and achieved a brown belt in 1985 before leaving for the Canadian Armed Forces in 1985. I joined Elite in 2003 once my son Zachary was older. There isn’t one defining moment for me as I have made some lifelong friendships and bonds that will always remain but the moments I treasure are seeing students working hard and seeing the looks of pride when they reach another big step in their journey, such as getting a black belt, 2nd or 3rd degree. This is definitely Renshi Guy. His knowledge and teaching style are unmatched and I have learned a great deal about how to be a better instructor and student by emulating his teachings. Anything with elbows in it! Not becoming discouraged because of injuries. I like to train hard, which can cause injuries along the way. I have a hard time toning things down to allow proper time for healing. Why study karate in the 1st place? Many years ago (1980) I watched “The Octagon” with Chuck Norris with some friends at a local movie theatre in St. John’s Newfoundland. I immediately knew that I had to learn karate and it has been a part of my life ever since. To be doing karate and still be kicking and punching for as long as I can do it. 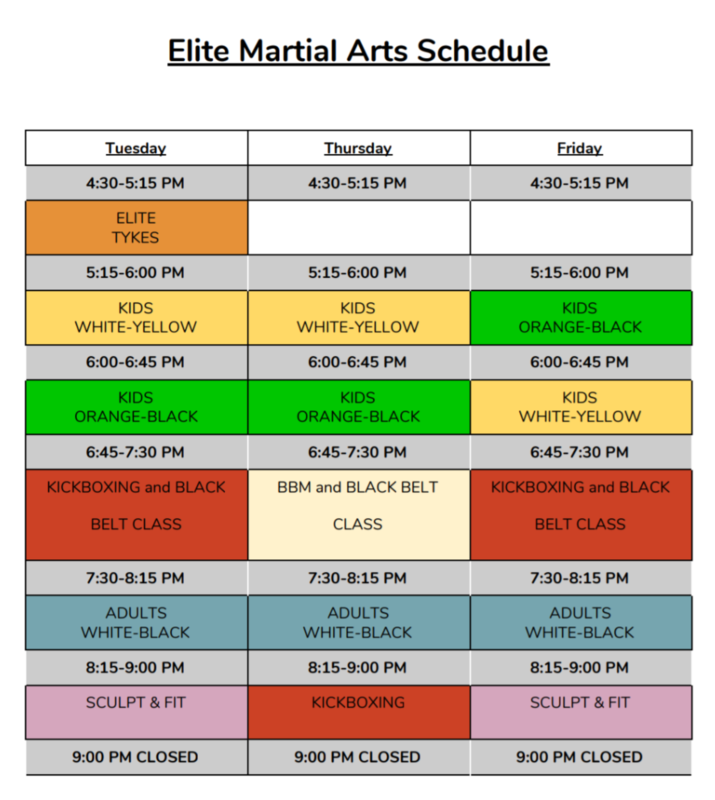 I hope to be at Elite Karate doing what I love to do which is teaching and doing karate for many, many years to come.